You could earn $ in Adventure Bucks with this product! Register your pass today! Sorry! We're currently sold out of this item. You could earn $ in Adventure Bucks with this product! sign up today! A warm mountain companion: the Broad Peak IN Hooded Jacket Men is an insulating jacket that accompanies you on alpine terrain. The Pertex® Quantum material provides insulation and reliable protection against moisture. 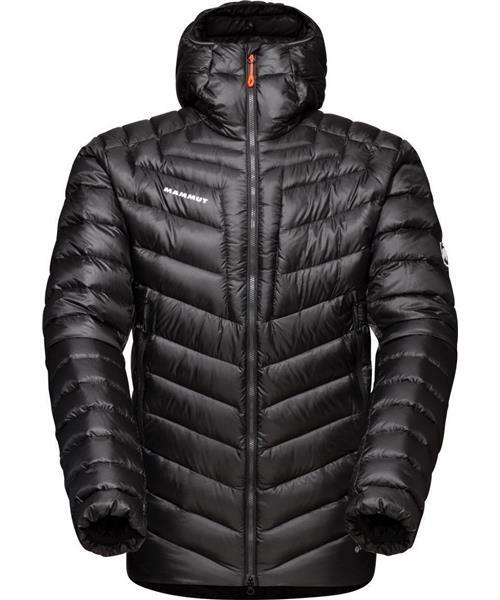 The down and feather filling keeps you warm in cold temperatures. Should you wish to take off your jacket from time to time, it packs up small so that you can store it in your backpack. It proves extremely practical when touring due to its backpack- and climbing harness-compatible pockets.